HOLLYWOOD, Calif. /California Newswire/ — Calif. Assemblyman Mike Gatto (D-Los Angeles) has been appointed to the California Film Commission (CFC). The Film Commission enhances California’s status as the leader in motion picture, television and commercial production by keeping film industry jobs and projects in the state. A one-stop office for filmmakers, the Commission supports productions of all sizes and budgets. Services include tax credits for in-state production, an extensive digital-location library, free-online permitting, low-cost use of state properties as shooting locations, and production assistance. Assemblyman Gatto, who represents the 43rd Assembly District, has a particularly strong interest in the film and television industry. His district, which includes the cities of Burbank, Glendale, and a large portion of Hollywood, is home to numerous film and television studios and post-production facilities. The district is also home to thousands of people who rely on the health of the entertainment industry for their livelihoods. The Commission has 21 members appointed by the Governor, Senate Pro Tem and Speaker of the Assembly. 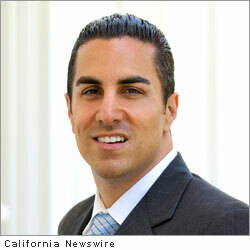 Gatto was appointed by Speaker John Perez as the California State Assembly’s representative. Board Members to the Film Commission do not receive compensation for the position.